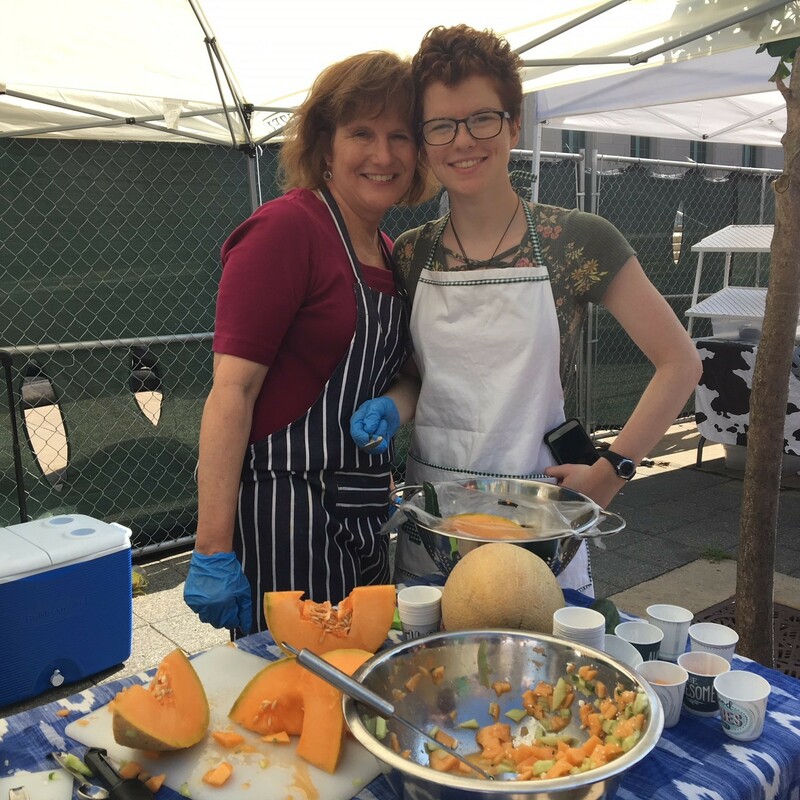 In honor of National Farmers' Market Week, Liz from Inspired by the Seasons (and her daughter!) joined us at the Wednesday Market and featured this delicious recipe for our food demo and free samples. Combine all ingredients into a medium sized bowl and toss to combine. Pour 2 Tablespoons of the dressing and stir together. Check taste and add more dressing if needed. Chill in refrigerator for one hour before serving. Leftover dressing can be stored in the refrigerator for up to a week. Serves 4 people, this can easily be doubled for a bigger crowd.